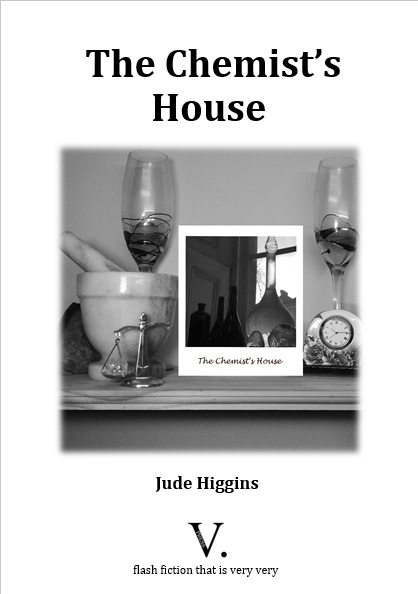 My debut flash fiction pamphlet ‘The Chemist’s House’ was published by V Press. in June 2017. Thirteen flash fictions based on growing up in mid-wales in the middle of the last century. and to Alison Woodhouse and Ruth Skrine who have reviewed the collection on Amazonand to Al Kratz who has reviewed it on Good Reads and to the kind others who have given it four and five stars. Buy below for £6.50 plus postage and packing. Different postage prices for UK, Europe and Worldwide sales in the drop-down menu below. (If you are attending the Flash Fiction Festival July 20-22nd in Bristol, I am also selling it there.